A fantastic way to accelerate Unity & C# learning, empower development, and even make some money using the Unity Asset Store. The Unity IDE offers an Asset Store. If you haven’t yet familiarized yourself with the Asset Store, this is the best time to dive in. You’ll find nearly everything a game developer could wish for– complete template projects, models of every shape and size, countless textures and materials, an extensive set of code libraries, hours of professional music and sound effects, and a broad selection of editor extensions to bring new functionality to Unity. Best of all, we’ve gone out of our way to make sure that these offerings are both affordable and covered by a common, easy-to-use license without legal complexities such as royalties. I think of the store like a (sometimes free) bag of temporary art while I work. More rarely, when tackling a technical challenge I check the store to see if another developer has solved my needs and created a code library. The naming for an asset store ‘item’ doesn’t seem standardized, but when I say 3rd party code-library, package, or plugin I mean the same thing. I mean a collection of code or visual/audio art which augment the IDE itself and/or enable richer development. Something remarkable, and quite different than the Flash community, is that these packages can actually add functionality to the Unity3D IDE itself. New first-class menus, panels, UI Gizmos, etc… It is truly amazing. To see our work, You can checkout all of the AssetStore packages we at RMC have created for some examples and then continue reading below to learn an overview about the store. Unity Technologies, the creators of Unity3D share the revenue from every paid purchase made. My opinion is that this revenue stream for the company helps them support the free version of Unity. More developers using Unity creates a larger pool of asset store contributors and purchasers. From within the Unity IDE (Menu -> Window -> Asset Store) or through your web browser online you can shop in the store. Search by product name or developer name, see featured items, or simply browse based on popular categories. To research this article, I scoured the community thoroughly, interviewed top developers on their favorites, and tested out many plugins to build the definitive list of the best asset store content for developers. Here is are the Essential Unity3D Plugins / Packages. All are compatible with both free and pro versions of Unity. But who is it that is making this great content? Well, there are many prolific contributors. As successful developer Daniel Sklar of ProfiDevelopers explains, the Asset Store is successfully being used all over the world. After many years in game development, his team has gained a lot of experience which they pass on in the form of well designed assets. Greener teams can save time and money by using existing content. In my Unity Asset Store Case Studies article, several veterans discuss their success with the store. More recently, Unity Technologies has partnered with asset store contributors to market some key packages. These projects may be developed outside of the core company but get favorable promotion, marketing, and exposure. Everyplay! is a newer addition to the store. This innovative service is a complete solution for monetizing, acquiring and engaging users. Everyplay enables users to share their best gaming moments directly from within the game as video! With Kii, game developers get a fast and scalable back-end, powerful analytics and game distribution services, so they can focus on the stuff that matters — the game experience. GameAnalytics automatically takes care of all the basic tracking/analytics needs for your game. All you have to do is interpret the results. PaeDae is how you monetize your game with in-game advertising without breaking its cohesive gameplay experience. As developers we typically see new features added to the Unity tool itself. You download the latest version of the IDE and checkout the release notes to see what new features are available. 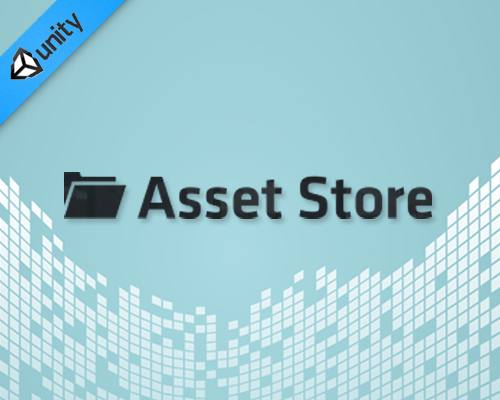 However, a second way for Unity Technologies to distribute non-essential functionality is through the asset store. These 1st Party Packages include complete game projects, assets for learning how to use Unity, as well as for testing your existing projects. For years, insiders have know that Unity Devs can make a living from Asset Store. The Unity development community is now larger than ever. Larger audience = larger earnings. An inspiring article on the Unity Blog explains how we can all Pay for our Indie games via Asset Store work. Although it isn’t easy, making a living through the Asset Store has been possible for at least two years. It all depends on your expenses, the appeal and pricing of your product, the competition, your skills and what you are willing to sacrifice (more on that later). Stay alive by some means during the early days. Game design consulting was ideal for me. I could do it one day per week. Design your game early on to know its technical needs and requirements (later you will want to identify all kinds of synergies in order to minimize cost). Build some game generic features or content that will be part of your game. Make these modular and possible to “productify”. Sell your content in the Asset Store and use the earnings to fund your game. Starting making revenue DURING the production of your game. You may FIND existing Asset Store packages that save you time. Maybe you’ve created a great 3D model or an editor extension for Unity, but now it’s sitting at the Asset Store shelves and gathering dust. What can you do to sell more and fund your game and your life with your awesome asset? A few really successful publishers have shared their promotion tips and we cooked them up into this advice. Make demo videos : We love videos to learn quickly what your package does and why its great. Find out where your customers are : You can’t promote everywhere, so make your effort count. Use Forums : There is already a special place to interact with your audience. Tweet : Promote virally. Include a URL too. Sign up for 24 Hour Deals : Apply for additional promotional power via Unity Technologies. Tweak your Pictures : Your promotional pictures (text-copy, etc…) should be clear, concise, and attractive. Consider paid campaigns on Google and Facebook : These networks are cheap provide fast metrics. Consider time zones : You capture a wider ad market when users are awake and at their computers. Stay involved : Harness the power of feedback loops with your existing/potential audience. In my 13+ years as a pro game developer, community involvement has always been important. Involvement in groups, conferences, and open source projects helps me stay connected, teach, and learn new things. Its for these reasons, more than just profit that I’m interested in the Unity Asset Store. Here are the in-progress diaries of a few packages. Others of our work are complete and live.You can checkout all of the AssetStore packages we at RMC have created and then explore the case studies below from 3rd-party developers. I encourage everyone to get involved as a consumer and potential contributor to the asset store. It is an incredibly powerful way to take advantage of the powerful community around Unity. Pour les:-Le Garcinia Cambogia est formulé avec seulement des ingrédients naturels et donc n’interfère pas avec d’autres médicaments. I enjoy the details on your website. Thank you so much!. I value the info on your internet site. Much thanks!. Lovely Web site, Stick to the very good work. With thanks!. Thanks! It is an awesome webpage!. cousin of a trendy fruit, the mangosteen. actually stands by his claims. wait to see what my final results will be! partnerships, the group of critics stand to gain nothing from criticizing Dr. I get 4 emails with the exact same comment. There has to be an easy method you are able to remove me from that service? I don’t even know the way I finished up here, however I believed this publish used to be good. stay because the rooms are clean and the rates are reasonable. turtles, so golfers may have luck as they take a sunset stroll after a few rounds. and stylish single family residences. you enjoy some of the best Bed and Breakfasts in the area. beach vacation and a customized golf tour, thanks to these three top courses that are literally on the beach. Thanks for finally talking about >Flash / HTML5 / Unity3D Game And App Development With Tutorials | The Unity Asset Store <Liked it! mind that how a user can understand it. except this website offers quality based content. After going over a number of the blog articles on your website, I truly appreciate your way of writing a blog. and will be checking back soon. Please check out my web site too and tell me how you feel. In addition, The contents are masterwork. you have performed a fantastic process in this topic! a perfect manner of writing? I’ve a presentation next week, and I am on the look for such info. a taboo subject but typically people don’t talk about these issues. If some one desires expert view regarding running a blog after that i propose him/her to visit this web site, Keep up the good work. France as well as subsidiaries Jump Regional/City Jet. this occasion i am reading this enormous educational post here at my home. EasyJet initially specified that no compensation was payable as it was the turbulent guest that created the hold-up. of your story. It’s surprising you are not more popular because you surely have the gift. blogger. I’ve joined your rss feed and sit up for looking for more of your wonderful post. Aw, this was an incredibly good post. Finding the time and actual effort to make a really good article… but what can I say… I put things off a whole lot and never seem to get anything done. I am truly thankful to the holder of this web page who has shared this fantastic post at here. Tutorials | The Unity Asset Store <Liked it! I’m still learning from you, but I’m trying to achieve my goals. I certainly liked reading everything that is written on your blog.Keep the stories coming. I loved it! Just desire to say your article is as astonishing. The clearness in your put up is just nice and i can think you’re an expert in this subject. Fine together with your permission let me to take hold of your feed to stay up to date with impending post. Thank you one million and please continue the rewarding work. Every weekend i used to pay a quick visit this site, as i wish for enjoyment, since this this web site conations actually nice funny data too.